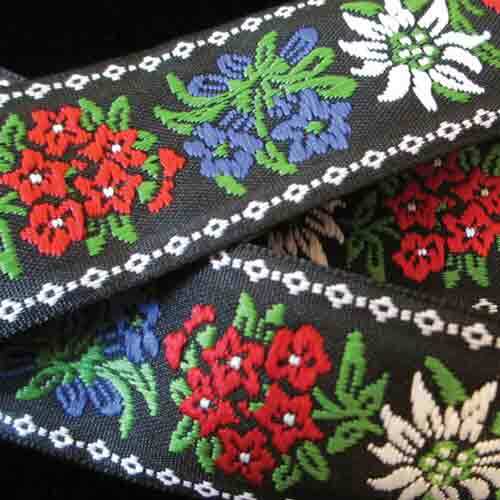 Black base color ribbon with embroidered Edelweiss and Alpine flowers. Ribbon measures 1-5/8” wide. It is sold by the yard! Service Area: New Glarus, Janesville, Rockford, Sun Prairie, Loves Park, Middleton, Stoughton, Whitewater, Baraboo, Roscoe, Oregon WI and surrounding communities.